It wouldn’t be an adventure holiday without the adventure! 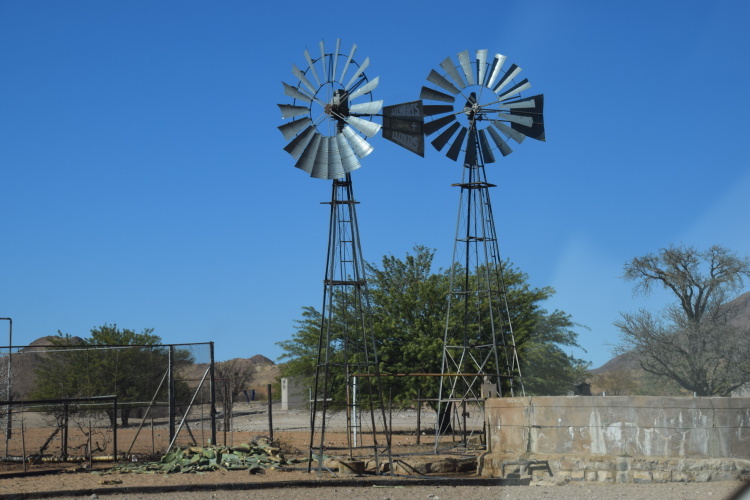 It would be fair to say that in Namibia, you need look no further for your adventure than the roads leading to many of the major sights. Deceptively substantial on the maps, they range from quite good to a good imitation of corrugated iron, to little better than a sandpit! And that’s just the ones deemed “suitable” for 2WD vehicles. The 4WD tracks are a LOT more fun! 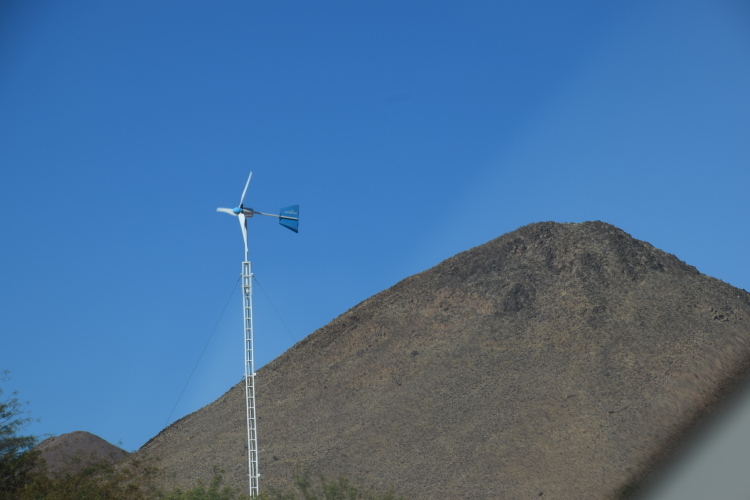 Travelling almost 2000km from Windhoek, via Swakopmund, Sesriem and Fish River Canyon to Noordoewer, we had much reason to be thankful for Peter’s distant past experiences of driving on terrible roads in Southern Africa; and his amazing levels of concentration for hours on end. 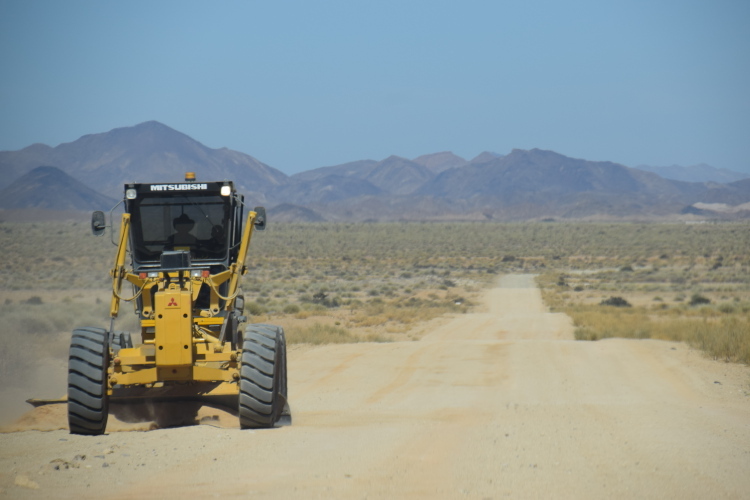 Locals were not encouraging when we mentioned that we were planning to do Sesriem to Fish River Canyon in a single day – when we planned the 520km, we hadn’t realised it was all on dirt roads! In all of those 8 hours, we saw maybe 12 other vehicles on the roads, and barely any other signs of life. Ensuring you stop for fuel when you can is a major priority, not to mention the need for toilet stops. 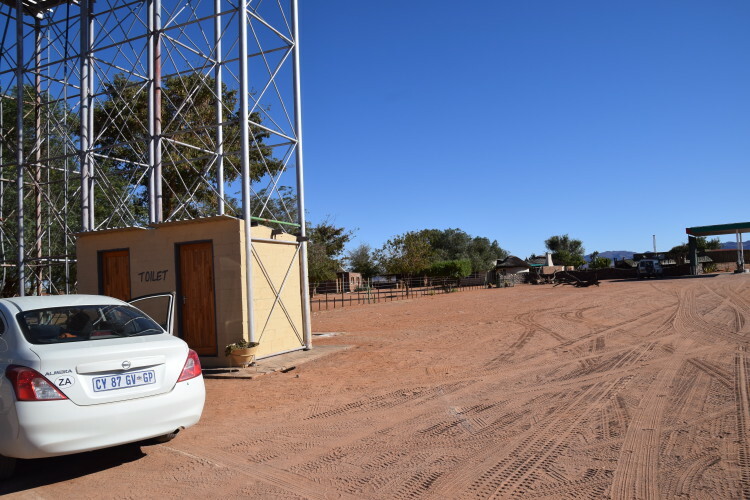 These are probably the most lovingly maintained toilets in the whole of Namibia, complete with flowers, embroidered hand towels and air freshener – beyond spotless – in a nothing place called Betta. I wanted to leave a “thank you” note for the toilet fairy! 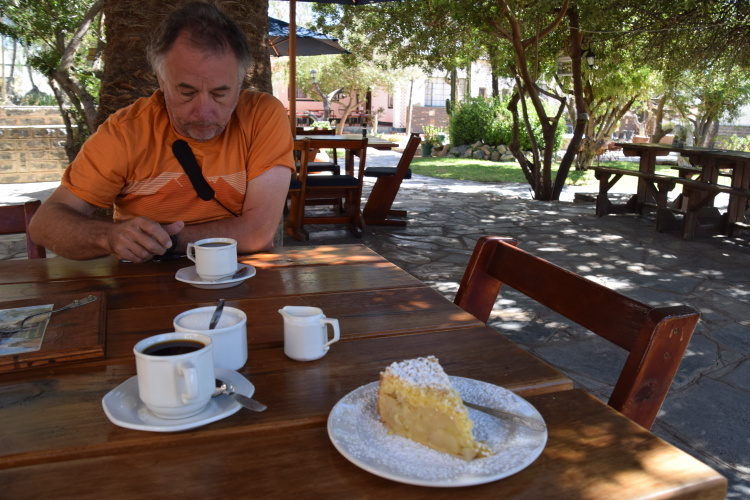 The stop for fuel at Helmeringshausen was equally successful – the best apple pie in Namibia, the sign proclaimed, so we simply had to try it, and it was, indeed, pretty damn good. 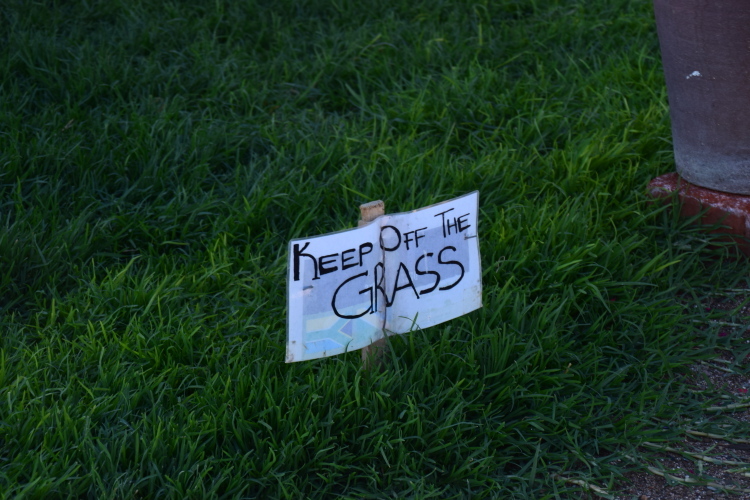 Though at this point I did start noticing a germanic propensity to post instruction signs all over the place – do this, do not do that, everywhere you look! Miles and miles and miles of long, straight, dirt roads… serviced occasionally by grader drivers, who appear to be located at big intervals along the way, grading our the corrugations and living in “caravans” like this one where they park up their grader overnight. What a life! 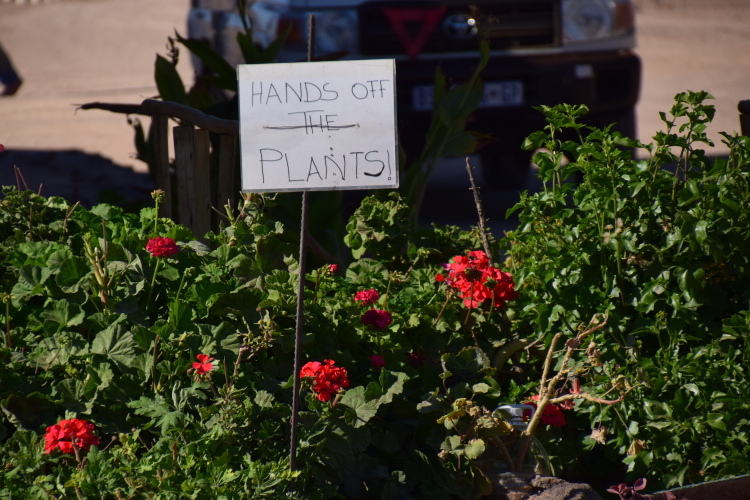 We did, eventually, arrive in at Fish River Canyon Village – and what a warm welcome awaited us there! A beautiful ring of stone bungalows, with the loveliest people, and a room straight out of Ouma’s day, in literally the middle of nowhere! 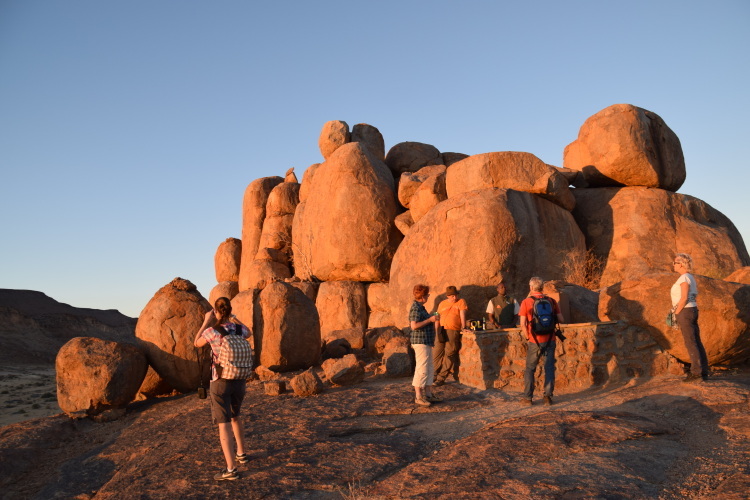 We climbed the hill to a hidden bar fridge in the rocks for sundowners that evening – healthy gin & tonic (good for the mosquitos) to wash away the dust of the day. 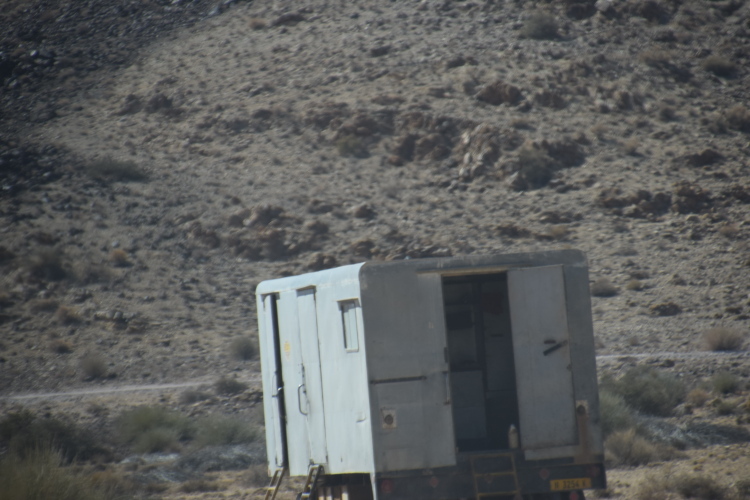 The real adventure, of course, was waiting just around the corner, striking the next day when we were exploring the area for views of the Fish River Canyon. Bang! Thankfully the spare was in good working order! 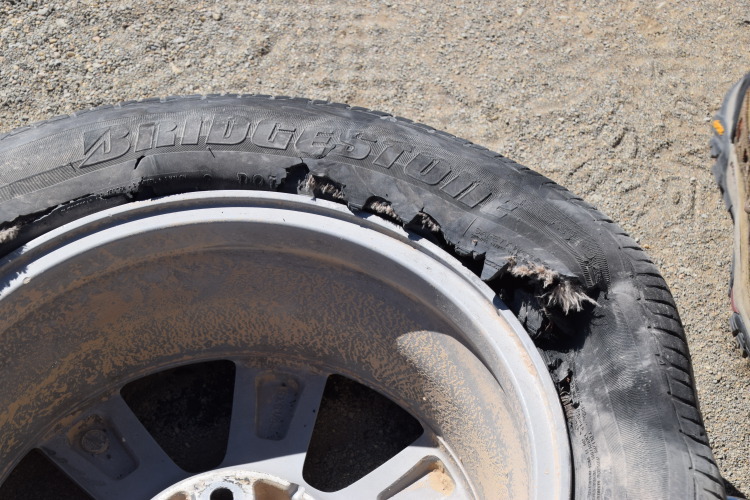 But there we were, with no further backup, and a 6 hour round trip away from anywhere with a new tyre the right size. When we got back to the hotel, we found we were in luck – one of their staff happened to be “in town”, due to return that night. An emergency callout fee for the tyre shop man (it being after midday on Saturday) and the new tyre was duly purchased on our behalf. Phew! 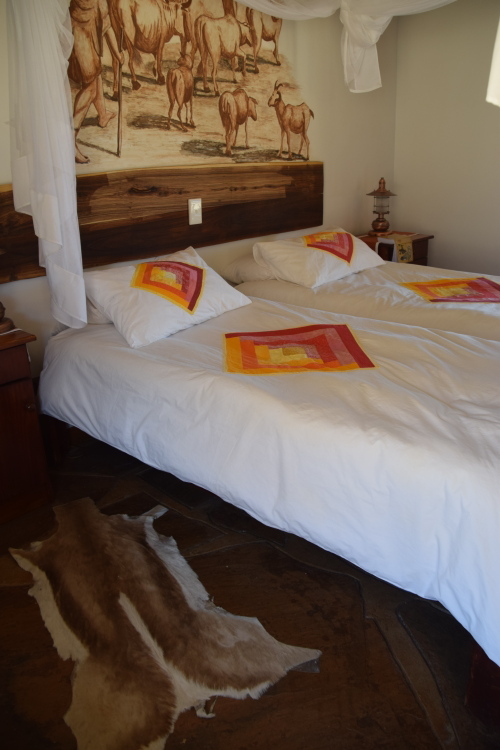 The next day, we set off for our final night in Namibia – on the banks of the Orange River. Never have I been happier to see a tar-sealed road. And never more amazed to see a lush green landscape, with actual lawn, unfold in front of my eyes as we reached the river banks. Green never looked so good! The tyre made me laugh! I’m glad your fish river experience was better than ours. Holding thumbs for the flowers tomorrow.